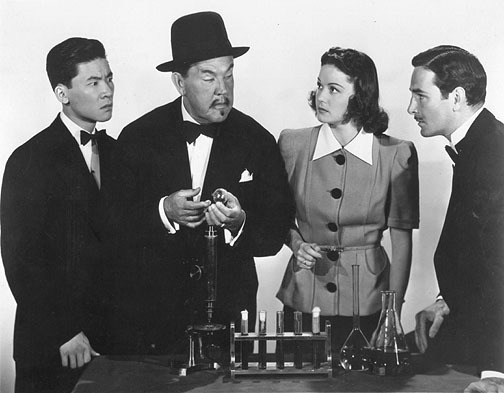 Charlie Chan Annex: Murderous Bloopers! New York has bloopers, too! 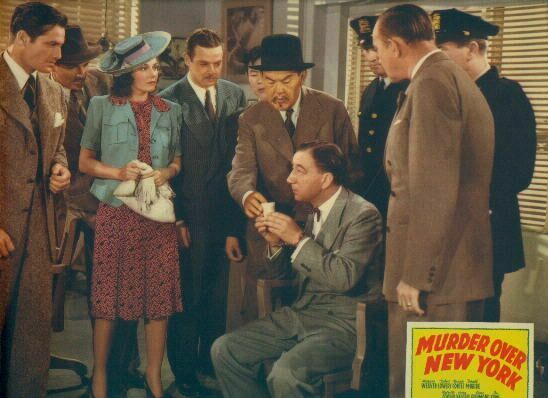 At least in Murder Over New York is our next Monday Night Chat Room Movie at www.charliechan.info, 8:00 PM to 10:00 PM (Eastern Time) and we start our tapes/DVD's at 8:30. Right at the start of the movie, the American Airlines airplane sits on the tarmac with its nose in the air but the camera shots inside show the passengers are all level, parrallel to the ground. It's either an metaphysical marvel or the writers needed to brush up on their physics lessons! And when Charlie and Hugh Drake land in New York, the mountains in the background make the airport more likely to be in Los Angeles. Or (more likely) the Burbank Airport. When Charlie, Jimmy and Inspector Vance are talking on the tarmac at the New York Airport, you'll notice that where they're standing changes with which camera shot you're watching!